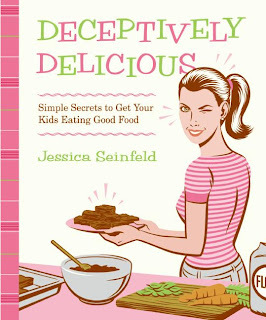 I have read of late the recent "broohaha" concerning Jessica Seinfeld's new cookbook "Deceptively Delicious," and its similarities to another recently published cookbook by Missy Chase Lapine called "The Sneaky Chef." While sneaking healthy foods into recipes is apparently not a new concept, I do find it odd that some of the exact same recipes appear in both books, and also odd but not surprising that Seinfeld was granted the Oprah interview despite Lapine's multiple pitches to Oprah's producers. But aren't we losing the bigger picture here? In developing countries, 11 million children die each year, with 6 million from hunger-related causes. In the United States, 12.4 million children live in households where people have to skip meals or eat less to make ends meet. That means one in ten households in the U.S. are living with hunger or are at risk of hunger. It is unfortunate that the Seinfeld's children apparently don't like to eat their vegetables unless the sweet potato is delicately camouflaged in the brownie "du jour," but let's get real. It's nice that Jessica is creative in the kitchen, but with Jerry Seinfeld earning 100 million a year, according to Forbes, I seriously doubt they will produce malnourished children. How about focusing efforts on donations to hunger programs so we can help solve the world's starvation crisis?